This is what you call doing it big! 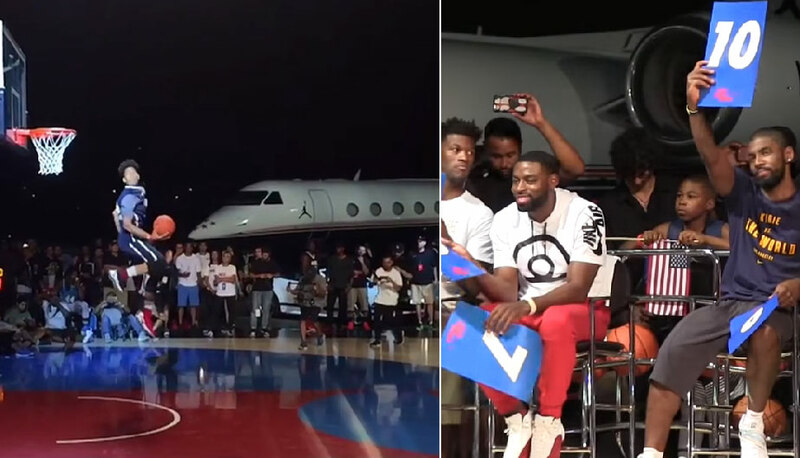 Instead of having a dunk contest at a food festival, Nike held this dunk contest at the JumpMan Hangar in LA! Instead of having the judges be a bunch of local “celebs” most people have never heard of, Nike brought out Kyrie Irving, Jimmy Butler, Tyreke Evans and Drew League founder Dino Smiley. Instead of having a cash prize of a few hundred to a few thousand dollars, NIKE GAVE OUT AN ASTON MARTIN! Congrats to Michael Purdie on the win.